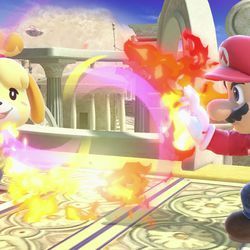 iTech – Blog: iOS • Android • Windows • Mac • Game • Technology » Don’t you dare hurt Isabelle in Super Smash Bros.
Don’t you dare hurt Isabelle in Super Smash Bros.
Don’t you dare hurt Isabelle. 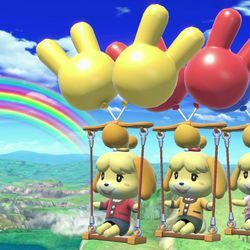 Nintendo has given the OK to Animal Crossing: New Leaf’s most goodhearted character, who wants to try her hand at something other than offering mayoral assistance and motivation. 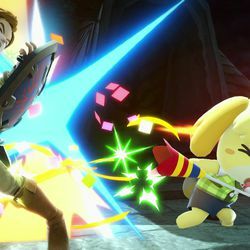 Isabelle is very game for new challenges, and her latest is beating up folks as diverse as Mario, Ridley and Simon Belmont of Castlevania. 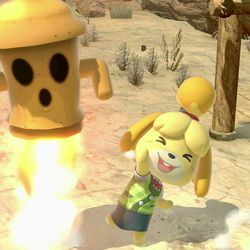 From the quick highlights reel that dropped following yesterday’s Nintendo Direct presentation (where Isabelle’s place on the Smash roster was revealed as part of an evil, anxious teaser), Isabelle is more than just game: Sister is ready to wreck. 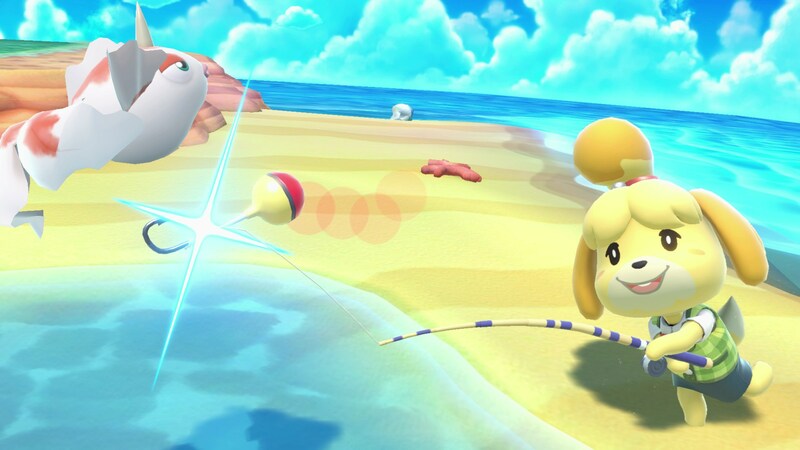 She uses a broom to happily whack people around. 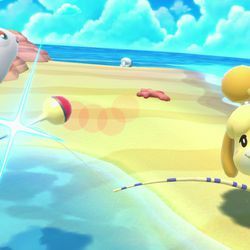 A net she borrowed from village bug enthusiasts becomes a torturous whip. 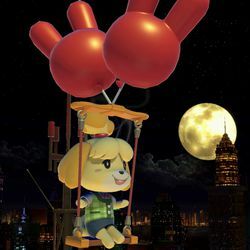 With a smile on her face, she plants Gyroid bombs that, when activated, send fighters flying. 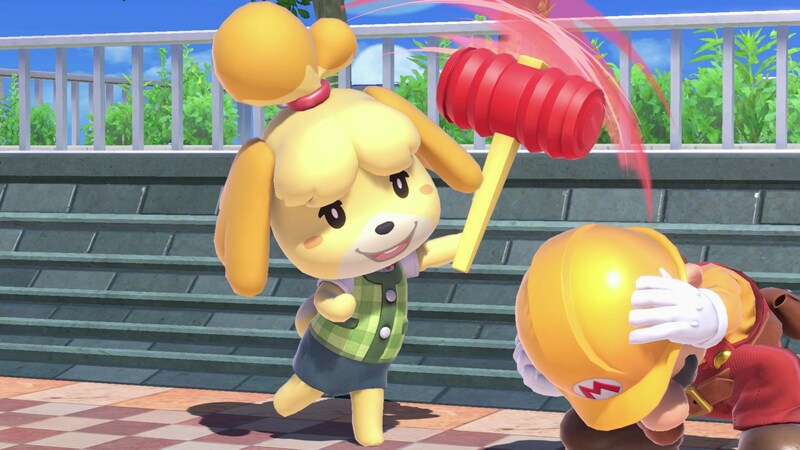 Her Final Smash calls in the family Nook, with all three boys turning building construction into an awful way to die. 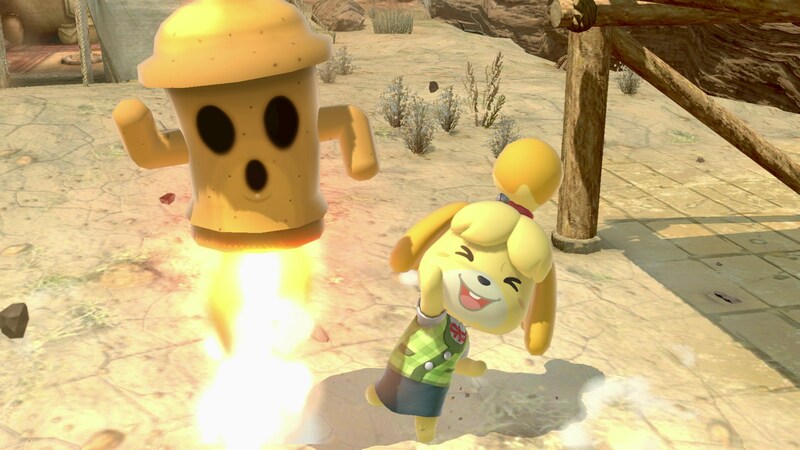 Isabelle is a killing machine, but not all killing machines are killers. 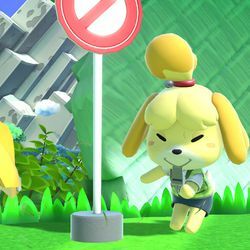 If you don’t follow, I’ll put it another way: There are few anthropomorphized animals as gleeful as Isabelle; few smiles are as genuine as the one plastered to her muzzle. 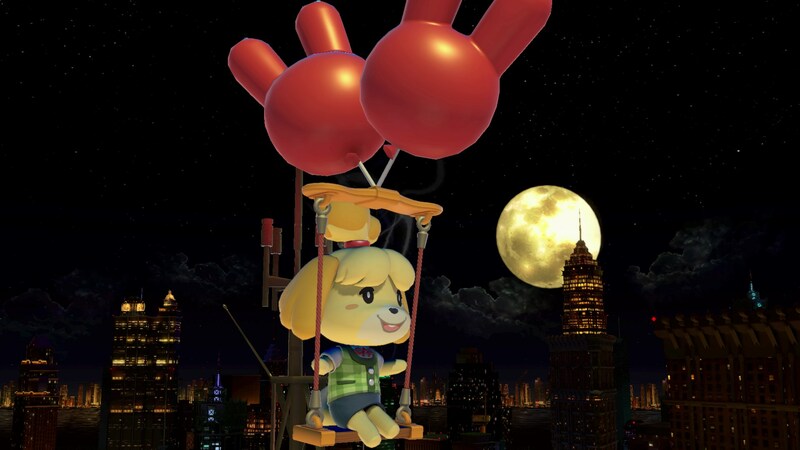 She covers her skirt when it flies up as she performs her down-special attack … come on now. 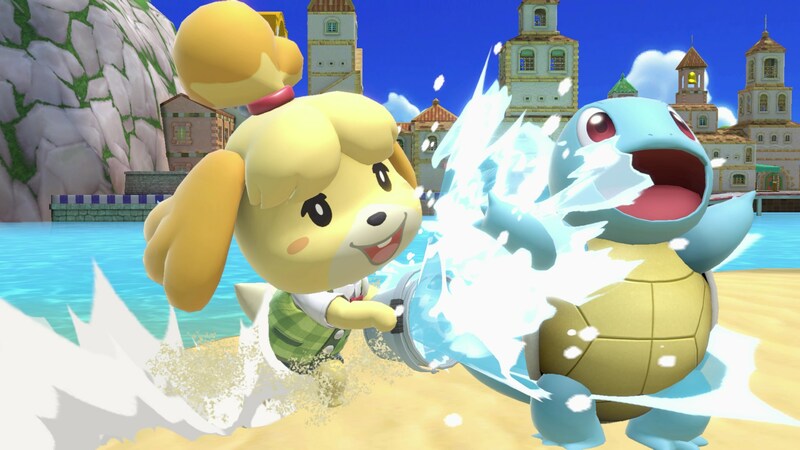 Even if Isabelle wants to take a turn at trying out the no-good stuff that the Animal Crossing Villager’s been dabbling in since Super Smash Bros. for Wii U and 3DS, she is a saint deep down. 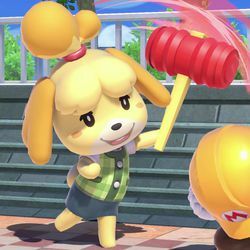 Many of us are already in agreement as a result: Laying a finger on her perfect Shih Tzu coif is to lay a finger on that rarest of resources: irrevocable positivity. 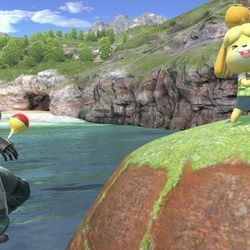 There is no better embodiment of happiness than Isabelle, and conversely, no worse sin than any pain inflicted upon her. 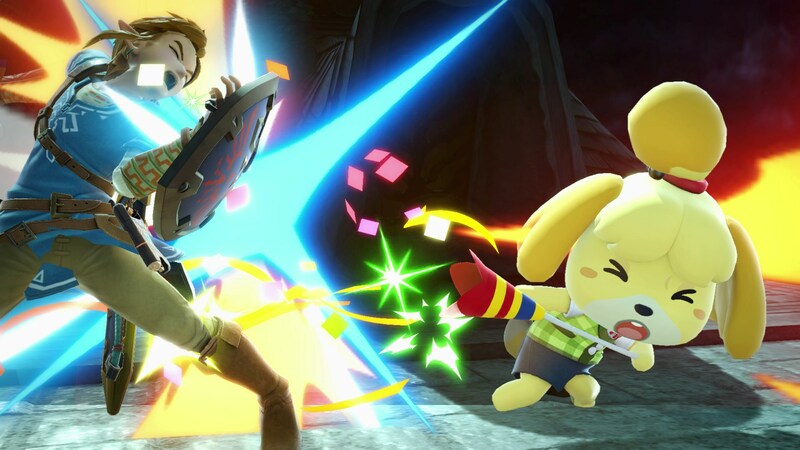 Choosing to fight as Isabelle means that you’re likely to have already won the match, which is bad news for your competitors and may even lead to her exclusion from official Smash Bros. tournaments. 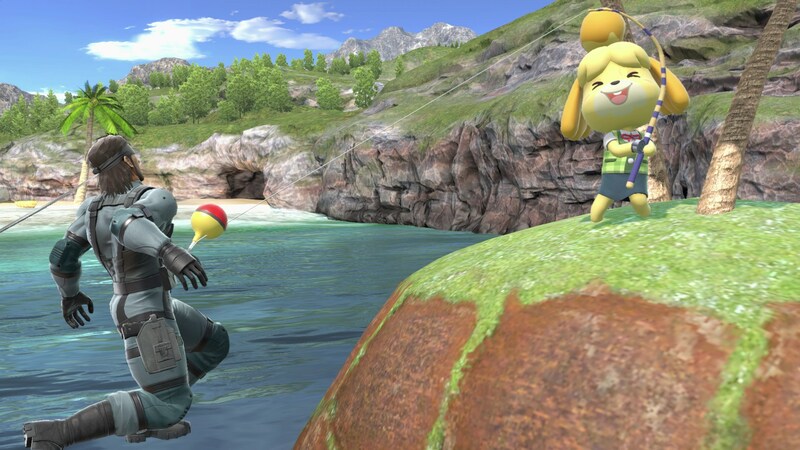 I’ll give one allowance to this end. 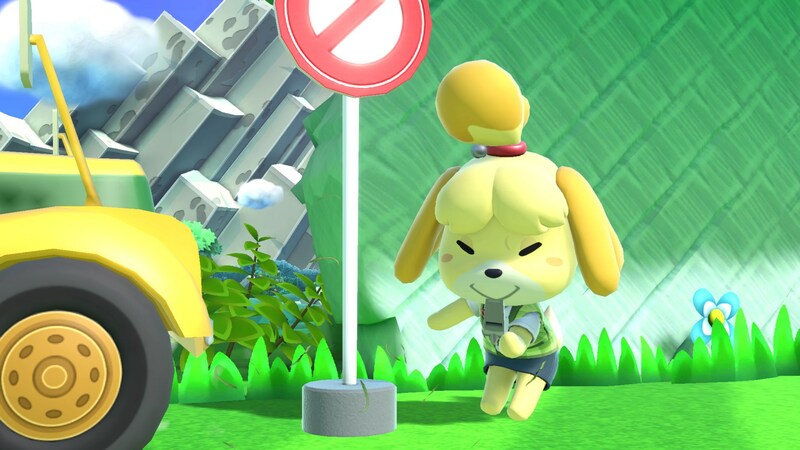 Only another Isabelle can harm another Isabelle, because, sometimes, we must hurt ourselves to learn not to hurt others. 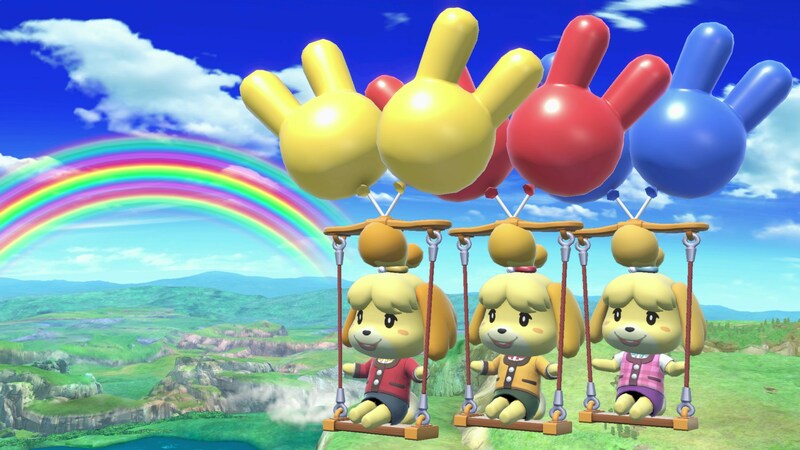 Except for Isabelle. 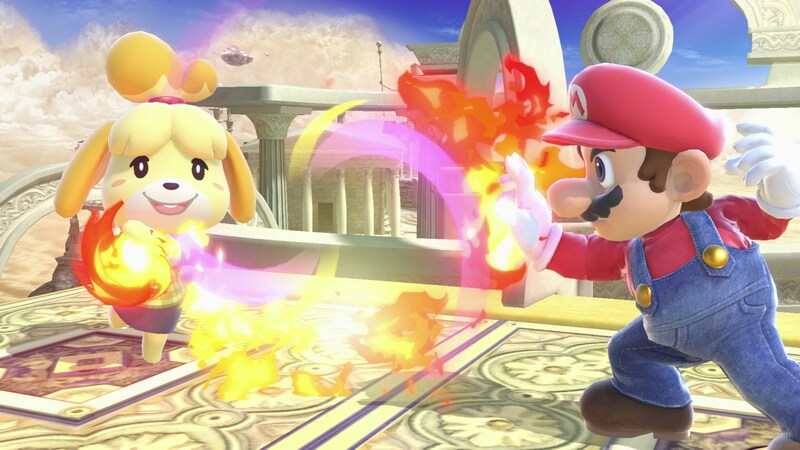 She can beat up whoever the heck she wants. 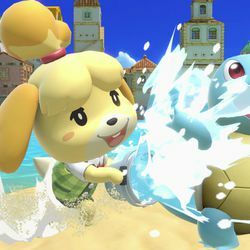 Just don’t even think about touching her in return or you’ll have to answer to legions of hopeful Animal Crossing lovers, Nintendo fans and people who still believe that there is innate goodness in us all.